The key Russian air show MAKS 2017, an event which is turning 25 this year, and which opens at Zhukovsky outside Moscow on July 18, is truly a bright spot for all aviation fans – and a rare opportunity to enjoy and experience the most anticipated debuts on the fixed- and rotary-wing market. 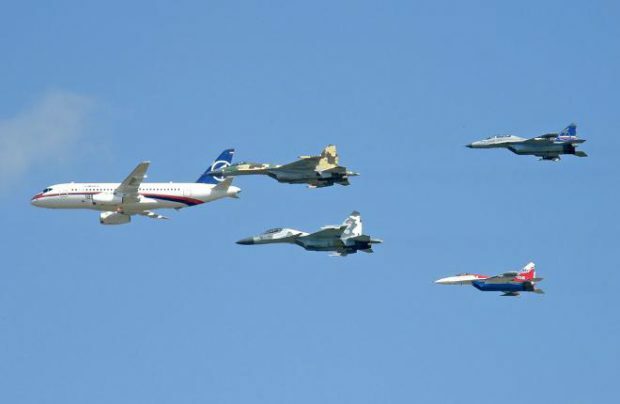 On top of that, this year’s MAKS is the first such major Russian aviation business event to offer a new format of business meetings which all current Russian aviation projects will hopefully benefit from. These scheduled “business briefings”, despite the tedious name, promise a completely new approach to negotiations and will almost certainly guarantee new contracts and agreements. Large manufacturers will use these briefings to find partners for particular projects in hand. Those companies eligible to become such partners and willing to find out how this can be achieved will be welcomed to meetings which are focused on signing contracts rather than just casual chats. Moreover, the airshow’s status will bring together players which, under other circumstances, might never get together at all. These meetings will cover a vast range of topics, from large strategic projects to specifically targeted issues. Below, we have listed 10 significant companies and programs that will use the MAKS briefings to find new partners. Last year the Russian Ministry of Industry and Trade announced a new aviation industry development strategy, which severely criticizes the current state of affairs. In a far-reaching document, the government points out that the existing major aircraft building enterprises, created in the post-Soviet era, are too big, lack flexibility, and are therefore unable to perform the work they were initially tasked with. To solve this problem, the ministry made a decision to embark on the well-proven Western path of outsourcing production of parts and systems. The major corporations would then be in charge of final assembly and overall management only. In such a scenario, the production system would become more adaptive, while the market would receive niche suppliers, thereby allowing the state-run enterprises to shake off the huge administrative burdens from their shoulders. This is precisely the future that the United Aircraft Corporation (UAC), one of the key consortia of the Russian aviation industry, is facing right now. The company has already adopted a new program, and will brief potential partners about it at MAKS. 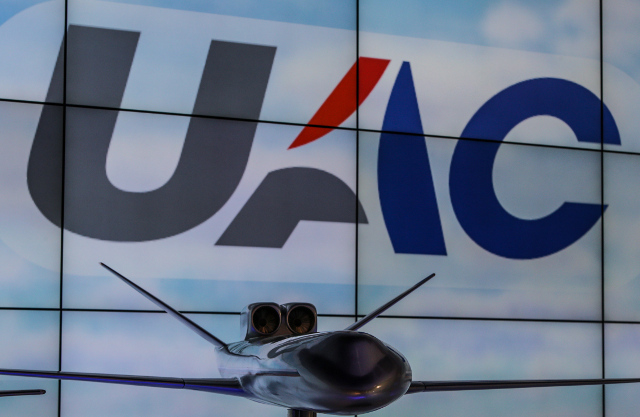 The UAC is currently responsible for all the Russian and joint aircraft programs, including the Sukhoi Superject 100 (SSJ100), Irkut MC-21, Tupolev Tu-204/214, Ilyushin IL-114, IL-96, and Russian-Chinese long-range widebody jet projects in the civilian sector. In the military, transport, and specialized segments of the market there are the MiG-29K/KUB, MiG-35, Sukhoi Su-27SK, Su-30MK/SM, Su-32, Su-33, Su-34, Su-35, Tupolev Tu-160, Tu-22М3, Tu-95MS, Yakovlev Yak-130, Sukhoi PAK FA (Т-50), Ilyushin Il-76, Il -112, and Beriev Be-200 projects. Russian Helicopters plays a similar role to that of the UAC, but in the helicopter segment, and incorporates Mil Moscow Helicopter Plant (MVZ), Kumertau Aviation Production Enterprise (KumAPP), Kamov, Ulan-Ude Aviation Plant (U-UAZ), Progress Arsenyev Aviation Company, Rostvertol, and many other smaller companies. The organization’s product line includes the Kazan Helicopter Ansat and Kamov Ka-226T light utility helicopters, the Mil Mi-8/17/171 family of medium-lift rotorcraft, the Mi-38 medium transport, the Mi-26T/T2 heavy-lift model, as well as the Mi-28N, Ka-52, and Mi-35 strike helicopters and the Ka-27 and Ka-31 specialized aircraft. Unlike the UAC though, Russian Helicopters has no immediate decentralization plans. Instead, the company is continuing to pay great attention to managing its relations with suppliers. It is expected to use the MAKS business meetings to share its expectations as to the quality of third-party materials, parts, and system components. 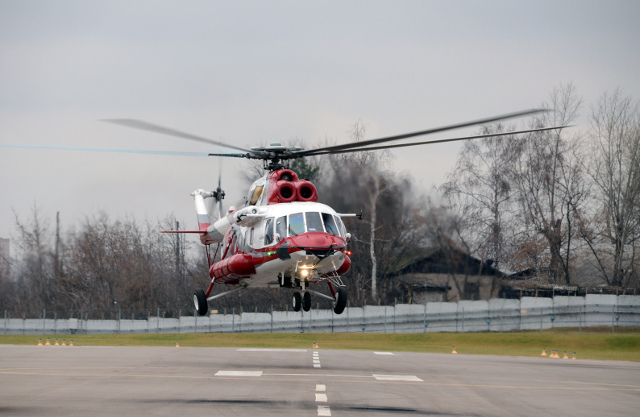 Russian Helicopters and the UAC are to hold a joint briefing devoted to supplier rating issues. The long-range widebody passenger aircraft is a joint Russian-Chinese project. Its unofficial name is C929, although Russia prefers the former, because the presence of the letter “C” in the designation creates the false perception that COMAC, the Chinese aircraft building corporation which is taking part in the project, is the primary partner (COMAC’s own single-aisle passenger jet is dubbed C919). Deliveries of the new widebody are scheduled to begin in 2027; the designers say the airliner will seat up to 280 passengers and will offer a range of 12,000 km. The joint project is important to Russia as it gives the country the opportunity to return to the global widebody market. The current Russian four-engine Ilyushin Il-96 jet enjoys limited demand among foreign operators. The bilateral widebody aircraft will be developed by the newly established China-Russia Commercial Aircraft International Company (CRAIC). The design center will be located in Moscow, and final assembly will be carried out in Shanghai. The aircraft’s parts and components will be manufactured in both Russia and China. Russia’s UAC will be responsible for the composite wing, and is expected to incorporate the valuable experience it has gained from the MC-21 program. The UAC is also looking to grow its competences in composite material building, and will hold a briefing on this topic at MAKS. 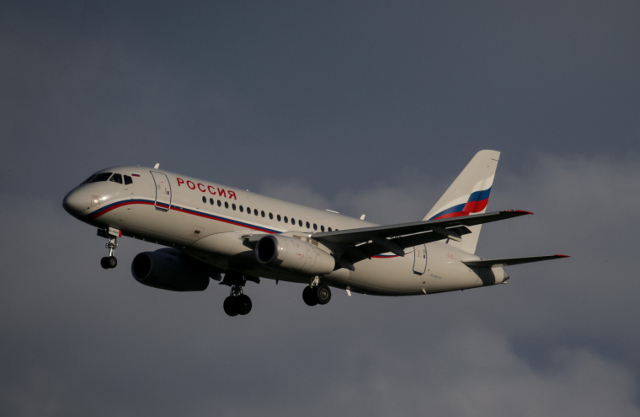 The Sukhoi Superjet 100 (SSJ100) regional airliner appears to be one of the most significant projects in the Russian commercial aviation sector for the past several years. The aircraft was built from scratch by an international team of designers and suppliers, with intensive use of Western business principles that the national aviation industry had not adhered to before and, hopefully, will remain faithful to now. Not surprisingly, the SSJ100 is still suffering from some teething problems, and its after-sales support system is yet to be improved. However, overall the project is clearly standing on its own feet and is gradually gaining a market share. The project has turned out to be a technical breakthrough too. For example, the assembly plant located in Russia’s Komsomolsk-on-Amur is using innovative advanced laser positioning equipment for mating fuselage parts. 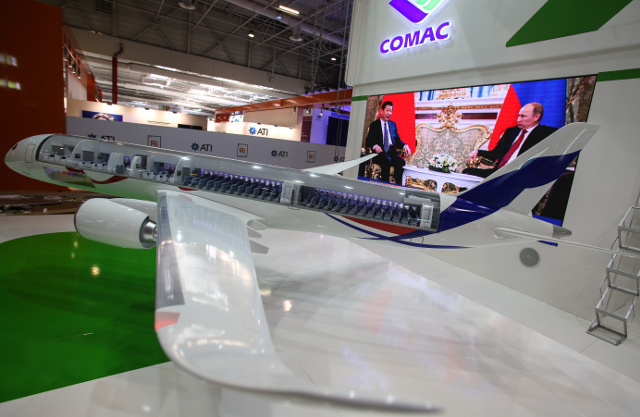 Another priority for Sukhoi Civil Aircraft Company (SCAC), the OEM, is improving the quality of project design. The company will devote its MAKS briefing to computer modeling of airframe parts: a process which the manufacturer hopes will allow for detecting structural and production deficiencies at early stages. The singe-aisle MC-21 passenger airliner project by Irkut Corporation is another pivotal undertaking for Russian planemakers, and one which is due to be brought to the market in a few years’ time. The designers have drawn on the experience of the SSJ100 venture and tried their best not to repeat that project’s mistakes. 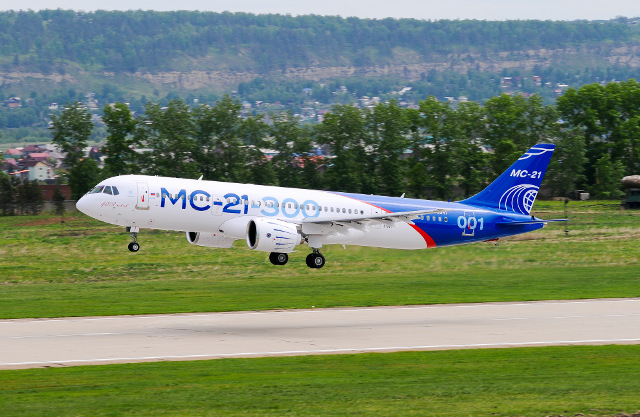 Similar to the Superjet, the MC-21 is being created in close cooperation with international partners, a business practice which has been a benchmark for Western aviation for many years. The project passed a critical point in May this year by moving on to the flight tests. The aircraft’s baseline version, the 163- to 211-seat MC-21-300, will be the first to reach the market, followed by the smaller MC-21-200 seating between 132 and 165 passengers. The UAC believes the MC-21 will rival such market monsters as the Airbus A320neo and the Boeing 737 MAX, but clearly the Russian project is still too immature to fully compete with them at this point. Nevertheless, the manufacturer’s vision should not be disregarded: the aircraft promises high potential. The UAC is not betting solely on the technical advances, it is also focused on passenger comfort. In the search for new competences in this area, Irkut and SCAC are to host a MAKS briefing to discuss a new inflight entertainment system (including for the SSJ100). The Mil Mi-38 helicopter program to create a rotorcraft with a maximum payload capacity of six tons was launched many moons ago. Despite numerous delays, it is still proving to be an important project as it will fill the gap between the mid-size Mi-8/17/171 family with a maximum payload capacity of four tons and the heavy Mi-26, which can lift up to 20 tons. Thus far, only the transport version of the Mi-38 has a type certificate. The manufacturer is marketing the Mi-38 as one of the most automated helicopters ever. In particular, it features the IBKO-38 glass cockpit avionics suite by St. Petersburg-based specialist Transas. The title of Russian Helicopters’ upcoming briefing at MAKS suggests that the Mi-38 manufacturer aims to continue developing the helicopter’s open-architecture avionics. The Ilyushin Il-114-300 is an upgrade of the Soviet Il-114 regional passenger turboprop. 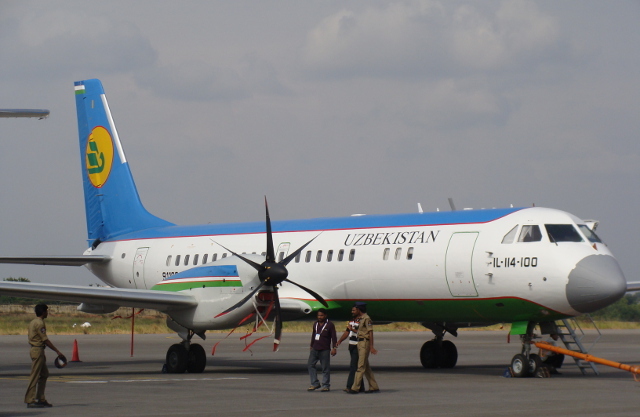 Tashkent-based Chkalov Aviation Plant ceased production of the type in 2012, but discussions about re-launching it have been going on ever since. Eventually, the decision was approved last year as the government realized that the country, with its numerous unpaved runways, did not have a plan for a modern aircraft capable of soft-field operations. Compared to the older TV7-117S- and PW127H-powered versions of the Il-114, the Il-114-300 will be fitted with upgraded Klimov TV7-117SM powerplants. The new variant will also be equipped with new avionics and a state-of-the-art anti-icing system. Flight tests will commence in 2018; deliveries are scheduled to begin in 2021. The manufacturer is placing a special emphasis on the passenger cabin’s interior and equipment, and will devote a MAKS business briefing to this topic. The Mil Mi-171А2 is the latest iteration of the Mi-8/17/171 family of medium-sized multirole helicopters. Even though the basic design of the rotorcraft has remained unchanged for half a century, the Mi-171А2 is a far cry from the family pioneer. It features the new VK-2500PS engines and composite blades on both the main and tail rotors, as well as new avionics, including the KBO-17 navigation suite. Compared to the older Mi-8 generations, the Mi-171A2 can carry up to five tons of payload. Certification trials are scheduled for August 2017. Russian Helicopters says that, following a request from Russian gas giant Gazprom, it is planning to develop an offshore version of the Mi-171A2. 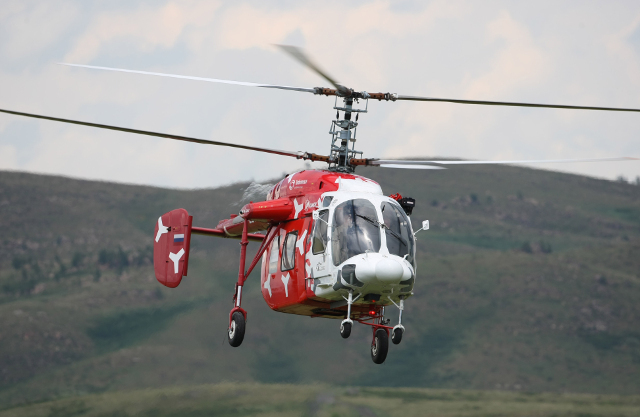 With such helicopters normally having to cover large distances over water, the Mi-171A2 will likely undergo significant modifications in order to meet the safety requirements of the International Association of Oil & Gas Producers (OGP). This is why Russian Helicopters is aiming to take advantage of MAKS 2017 and seek partners for this particular project. The company’s business briefing will discuss aspects of designing a transport helicopter certified for servicing offshore rigs. The Kamov Ka-226Т is one of a handful of Russian light utility helicopters. The letter “T” stands for the version with the more capable French Turbomeca Arrius 2G engines. The rotorcraft was originally designed for the Indian market, which is why it was given excessive power for hot-and-high airfield operations. Because it took years to win the Indian Air Force tender, Kamov additionally coaxed interest from domestic customers, including from the Russian Emergencies Ministry. Eventually, India contracted Russian Helicopters to deliver 200 Ka-226Ts (a large part of the batch will be assembled at the customer’s site). It now turns out the helicopter will still need minor adjustments to ensure reliability in a wide range of ambient temperatures. Apart from that, Russian Helicopters is looking for partners to certify the Ka-226T’s EMS equipment and install an air conditioning system. This will be discussed at a number of briefings the manufacturer will be hosting at MAKS 2017. The Kazan Helicopter Ansat is another Russian light utility helicopter. This one is just entering the commercial market, even though the military has been operating the type for many years and was lucky to receive a fly-by-wire version, which is quite rare for the rotorcraft industry. 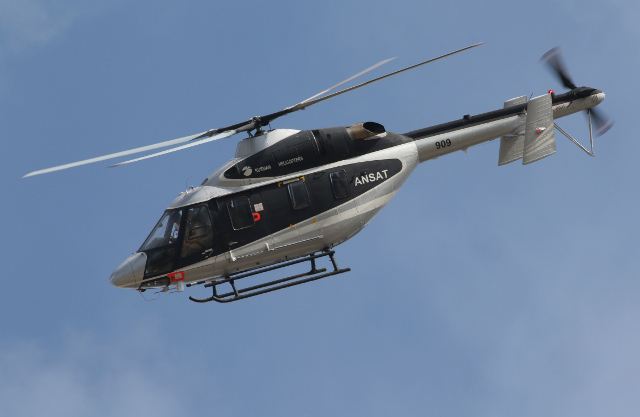 Bearing in mind that the certification system for civil aircraft is not yet ready to deal with fly-by-wire helicopters, the decision was made that commercial customers would instead be offered Ansats with conventional hydraulic flight controls. The first commercial delivery took place in the autumn of 2016, with two more civil Ansats delivered to customers later on. 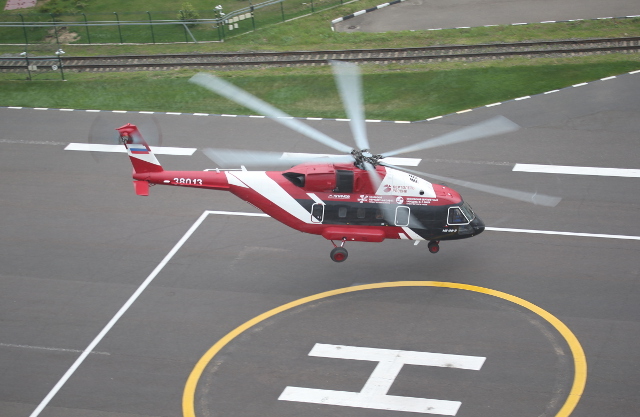 In Russia, the Ansat is used mostly for medevac operations. However, the manufacturer also holds certificates for the transport and passenger modifications, as well as for the VIP version of the rotorcraft. Russian Helicopters is looking to develop the project further, in particular to increase its range, extend the service life of key aircraft components, and improve the climate control system. The Russian company is planning to pick new partners for these tasks at a MAKS briefing.